Guildford Borough Council should review its governance proceedings and vetting processes following an admission from one of its former councillors that she faked her qualifications and pretended to be a barrister, critics have said. Monika Juneja changed her not guilty plea at the Old Bailey this week, admitting three counts of forgery, obtaining a pecuniary advantage by deception and willfully pretending to be a barrister. One of those who made the original complaints against the former Burpham representative and lead for planning to the court, Jules Cranwell, said he cannot believe that no one at the council questioned Juneja’s credibility or her credentials. He said there needs to be a review of the governance proceedings, and that the council needs to look at its vetting process if it is just to take someone’s word that they are a qualified barrister. Mr Cranwell said he felt sorry for Juneja, and if the council had stepped in and taken action after it had commissioned Dr Robin Hooper to investigate the allegations about her qualifications, he believes it may not have needed the police to get involved. Dr Hooper’s report concluded that Juneja had not done anything wrong by saying she was a barrister despite not being called to the bar, but this was based on misinformation from the Bar Council, which was subsequently clarified when the investigation ended. However, the council said it would not reopen the investigation. 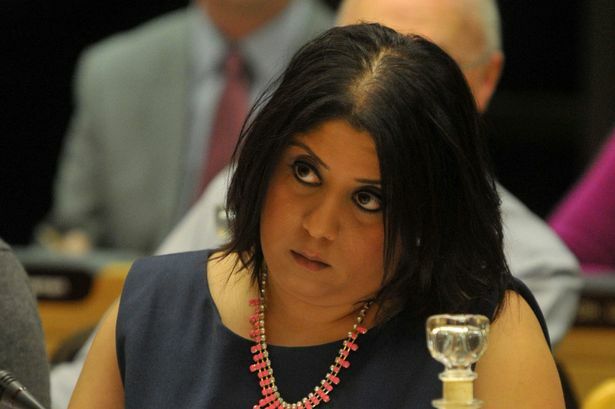 During the hearing, it was said that Juneja was a victim of a witch hunt from a ‘green belt action group’ due to the planning policies she was putting forward. Susan Parker, leader of the Guildford Greenbelt Group, said there had never been any physical harassment from anybody associated with her group. “What there has been is a number of considered, formal, extremely polite letters of complaint about due process and the level of governance with GBC,” she said. She said members of GGG had raised the issue, but said she had never had anything to do with it. Councillor Stephen Mansbridge, is leader of the council and the business partner of Juneja, running a recruitment firm. He appeared as a character witness, but afterwards said he would not comment on the case until the sentencing was concluded. The council declined to comment at this stage.